Each circuit had to be tested to eliminate fault and damaged wiring replaced. The old light fittings were replaced with modern low energy LED fittings, all of which were IP rated to suit the external environment. The finished system is fully remote controlled to allow the customer to control the lighting from inside their house. The upgrade has made a dramatic improvement to the garden of the property. 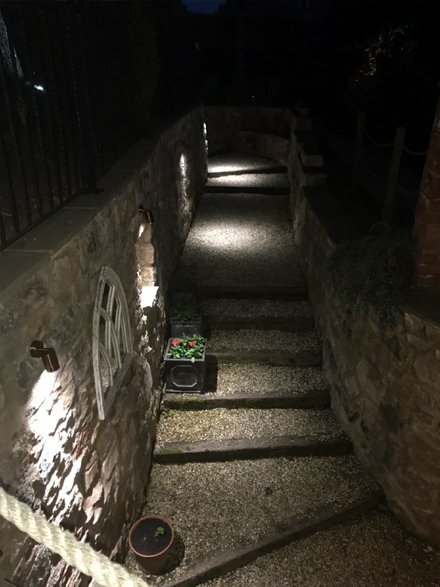 If you are considering the installation of external lighting, please call us on 07860 775307 or email info@rst-electrical.co.uk.